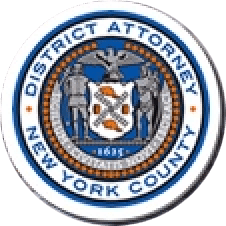 Manhattan District Attorney Cyrus R. Vance, Jr., today announced the indictment of CHAVARR GILLIAM, 24, and CARL MOORE, 24, for shooting five people in Harlem on February 1, 2015, fatally wounding 28-year-old Shadale Graham. The defendants are charged in a New York State Supreme Court indictment with Murder and Attempted Murder in the Second Degree, and Assault in the First and Second Degrees, among other crimes. According to court documents and statements made on the record in court, on February 1, 2015, GILLIAM and MOORE covertly observed Shadale Graham and two male friends, both in their mid-twenties, for approximately two hours, sitting near them at a bar at the intersection of Broadway and West 137th Street in Harlem. When the Super Bowl ended, the defendants followed Mr. Graham and his companions to a take-out restaurant a block away. At approximately 11:15 p.m., as the group ate outside and talked to two 21-year-old female acquaintances, the defendants approached and began shooting two firearms, firing at least 10 times before fleeing. Mr. Graham was fatally struck in the back of the head, and died at the scene. All four people standing with Mr. Graham sustained bullet wounds, including one victim who was shot in the abdomen, leg, and back, and required multiple surgeries. Assistant District Attorneys Lucy Lang and Sarah Marquez are handling the prosecution of this case under the supervision of Assistant District Attorneys Dafna Yoran, Senior Trial Counsel; Alfred Peterson, Chief of Trial Bureau 70; and David O’Keefe, Deputy Chief of the Trial Division; and Executive Assistant District Attorney John Irwin, Chief of the Trial Division. Trial Preparation Assistants Mary Goetz and Benjamin Millard, and Technology Analyst Kristi Korsberg are assisting with the case. District Attorney Vance thanked the detectives of the NYPD’s 23rd, 28th, and 30th Precincts, and the Manhattan North Homicide Squad, for their assistance with the investigation.